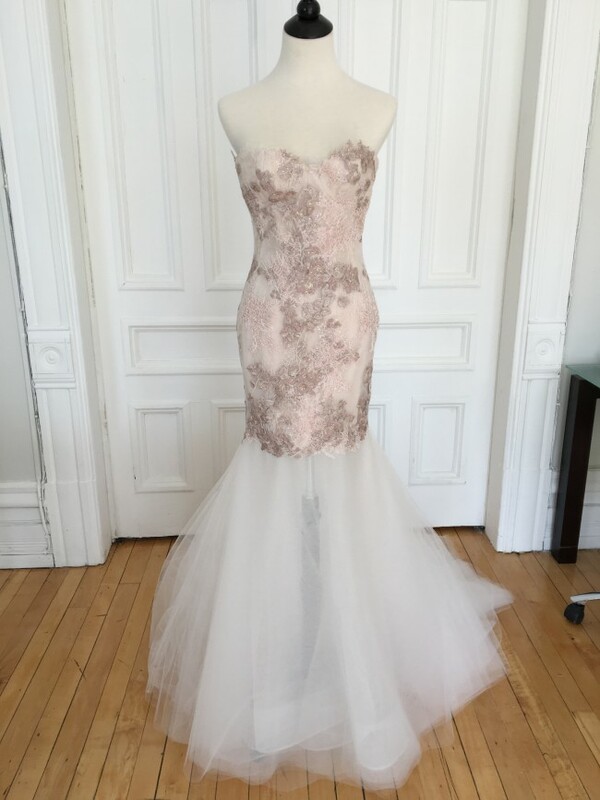 Sweetheart strapless beaded lace drop-waist bodice, blush colour lace overlay on blush silk lining. Tulle skirt with horsehair trim at hem. Street size 4: Bust: 34 1/2" Waist: 27 1/2" Hips: 37 1/2"
This gown is brand new, never worn or tried on. Condition is mint!